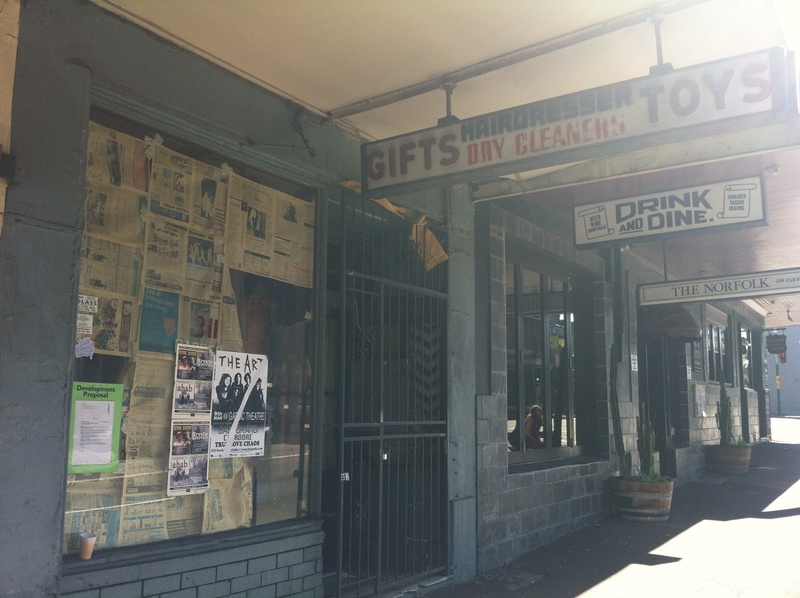 This place, beside the Norfolk Hotel on Cleveland Street, Surry Hills, has been closed for a good long while. It’s hard to say exactly when it closed from what we can see. There’s a development proposal, so there might not be much time left for it, either. What amazes me is just how much you could get done at a place like this back when it was actually open and functioning. You could get your hair done while waiting for your clothes to be dry cleaned, AND buy a gift for your significant other and toys for the kids. And cigarettes. They all sold cigarettes back then. I think I remember this when it was open, going by on the bus to/from UNSW. It looked like an oldfashioned barbershop with a few small items displayed in the window (presumably the gifts). I’m pretty sure it’s only been closed for a few years.